1. A second Henslowe, shown above. Here’s one folded across the back of a chair. 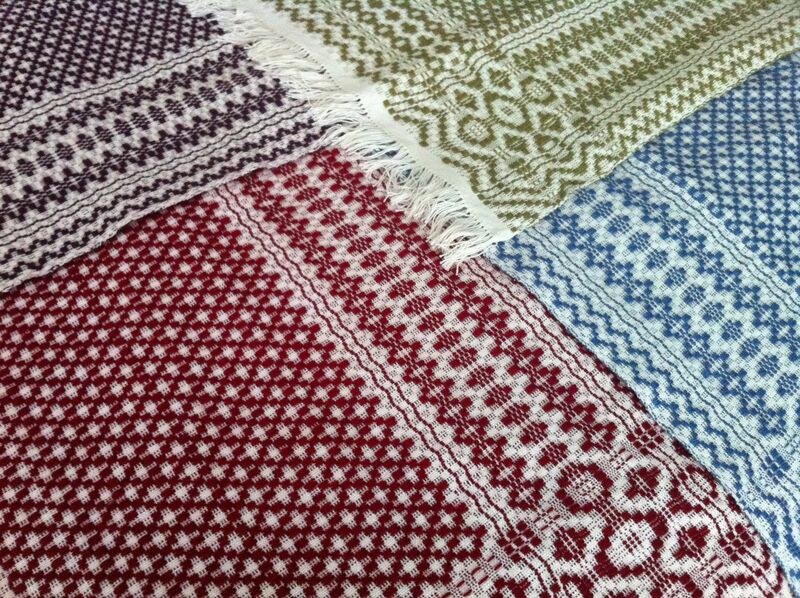 Each mini-coverlet is about 30″ x 40″. More to come on both the finished-object and work-in-project fronts. Stay tuned! Crafting has been rampant in these parts as of late, even if the same cannot be said of blogging. I started a two-month bobbin lace course at the end of January, and have spent many hours making tiny samples, learning stitches, and occasionally sprouting side projects to try out my budding skills. 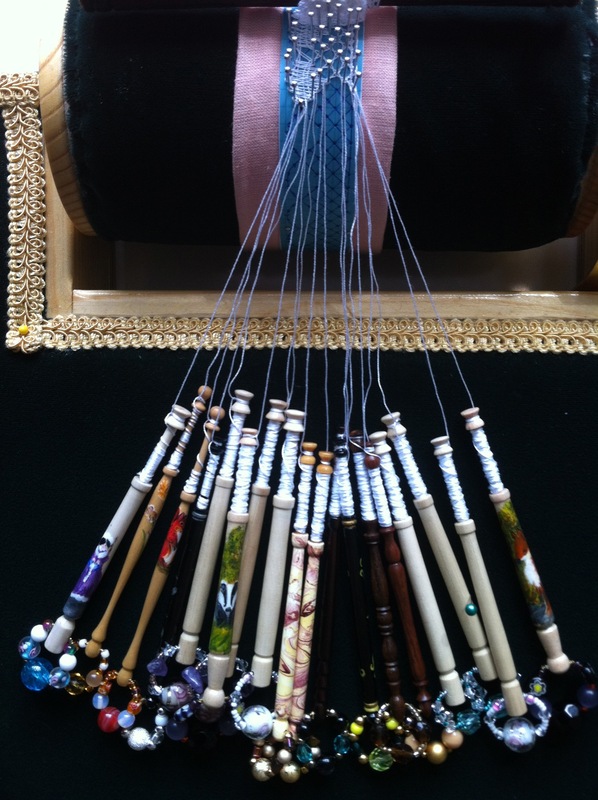 I have spent an equal number of hours drooling over lace bobbins. They’re the perfect combination and/or perfect storm of small, collectible, relatively affordable (unless you go in for gemstone inlay and elaborate turning), beautifully crafted, useful objects. You can find all sorts of bobbins designed for different aesthetic and functional purposes, and the history of the various types is very interseting. And if you actually make lace, you can justify having a large collection. My biggest project to date called for 19 pairs, but some laces call for hundreds. My significant other and I spent a weekend in Ottawa recently, and naturally, my lace homework had to come with us on the train. Some people bring laptops; others bring lace pillows. 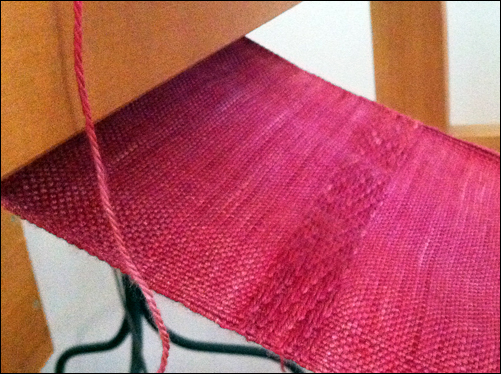 However, I discovered that it’s actually rather difficult to make lace with the correct tension while moving. My teacher was not tremendously impressed with the results. 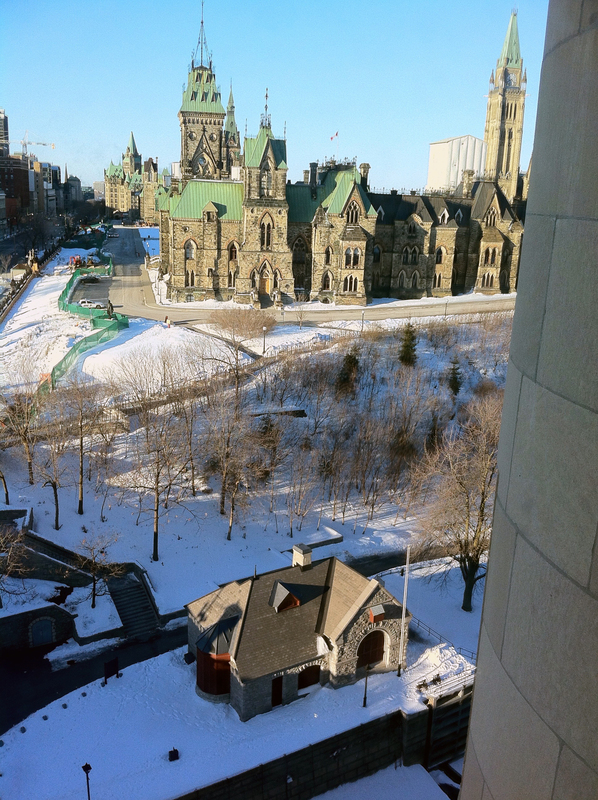 On a completely unrelated note, this was the view from our hotel room: the Canadian Parliament. Amazing! Right now, I’m working on some trim, just for fun. It’s up to about twenty inches: we’ll see how long I can go. 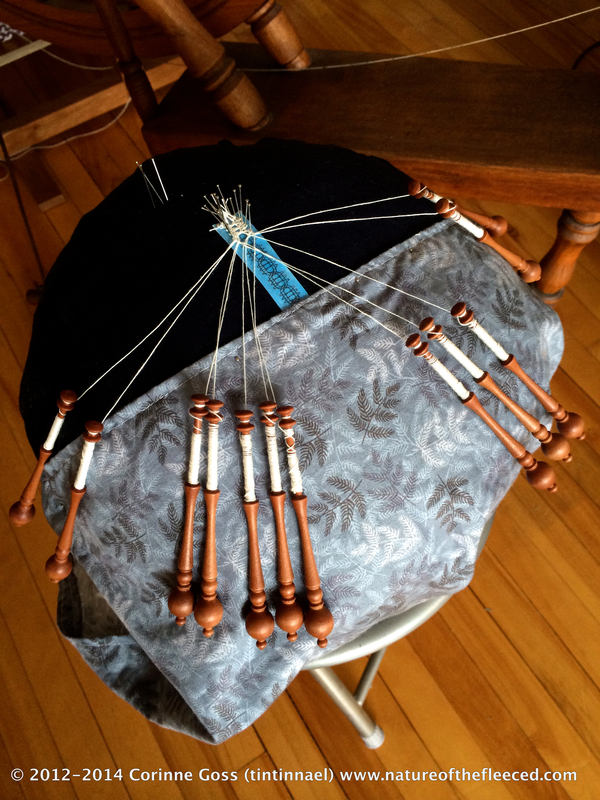 The Canadian Lacemaker Gazette runs a “five-meter club”, but I didn’t wind anything close to five meters on those bobbins. The weaver’s knot (a brilliant invention) may come to my rescue once again. Knitting is also making its semi-annual resurgence. In addition to trudging along on the several thousand projects I started last summer, I picked up a few new techniques (Continental!) and am working my way through the new Free-Sole Sock DVD. 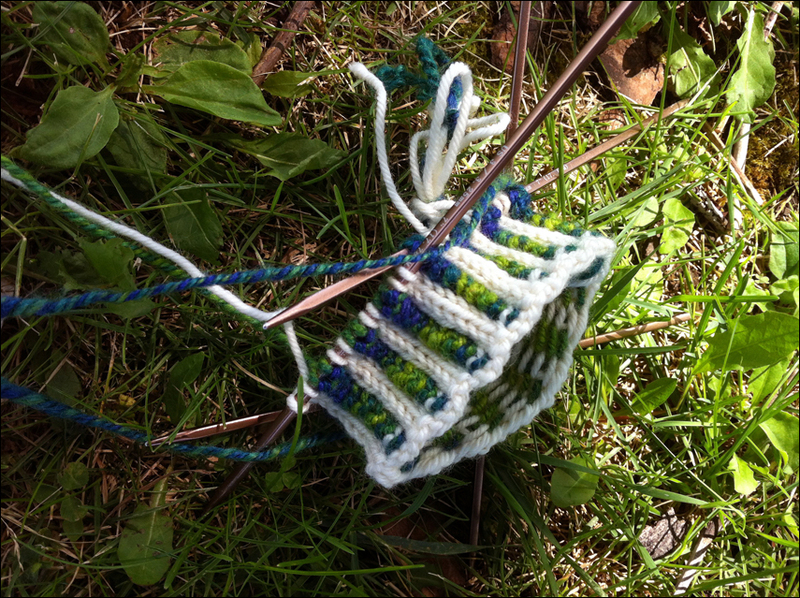 So far, excellent; I made a mini-sock and learned to knit backwards. I’ll be spending next month recovering from surgery, and hope to have enough mental capacity available to finish at least a few of the four socks, three mittens, two sweaters, and one shawl that I keep meaning to wrap up. 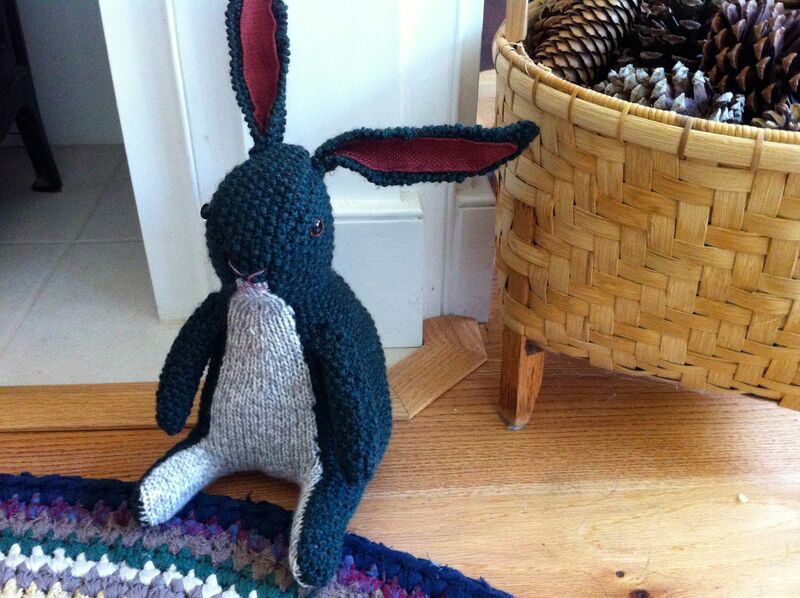 There are also a couple of crochet projects yammering at me to finish them. Plus various modifications to existing items, such as a perfectly respectable hat that the recipient shunned as “not warm enough”. At least that can wait until next year. Hmph. 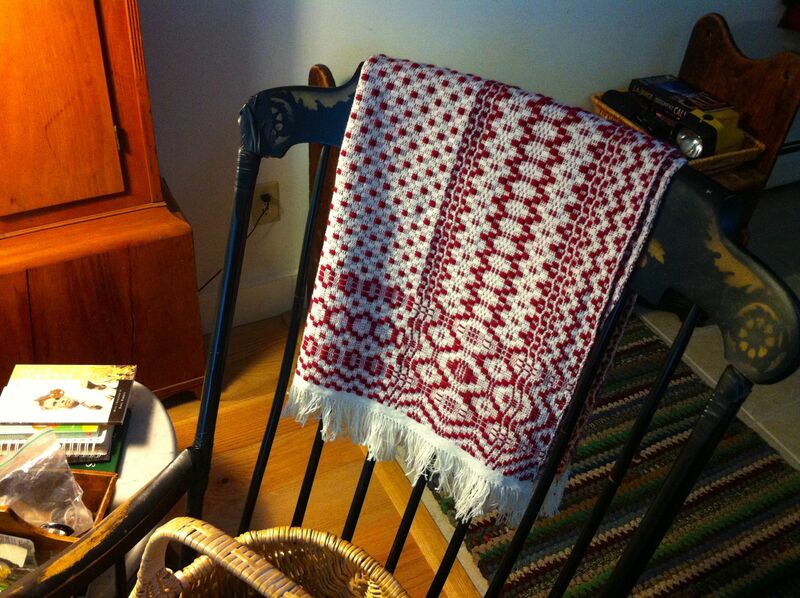 I imagine that weaving will have to take a short hiatus. 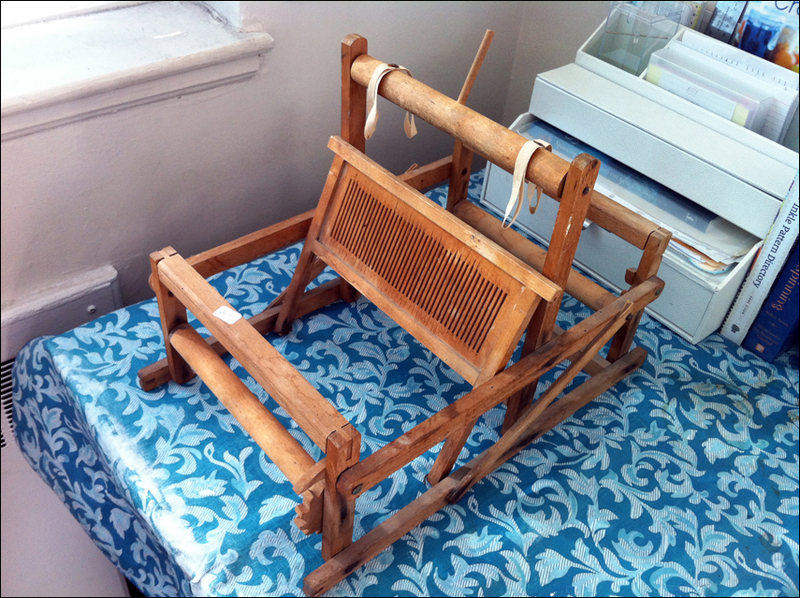 I’ll be staying with family for a while after the surgery, and though it might be feasible to pack a simple loom or two, I probably wouldn’t use them (I will, after all, be convalescing). Spinning will be subject to similar constraints, though I might pop a spindle in the suitcase. You know, for emergencies. Also squared away in advance of my departure: two giant bags containing four stinky fleeces. Since my S.O.’s threats of disposal were increasing in proportion to the sheepy smell, I spent the better part of a weekend scouring wool in the bathtub. (And then bleaching the bathtub so as to render it fit for human use.) These fleeces were free, which as fiber-prep folks will know, is a mixed blessing. 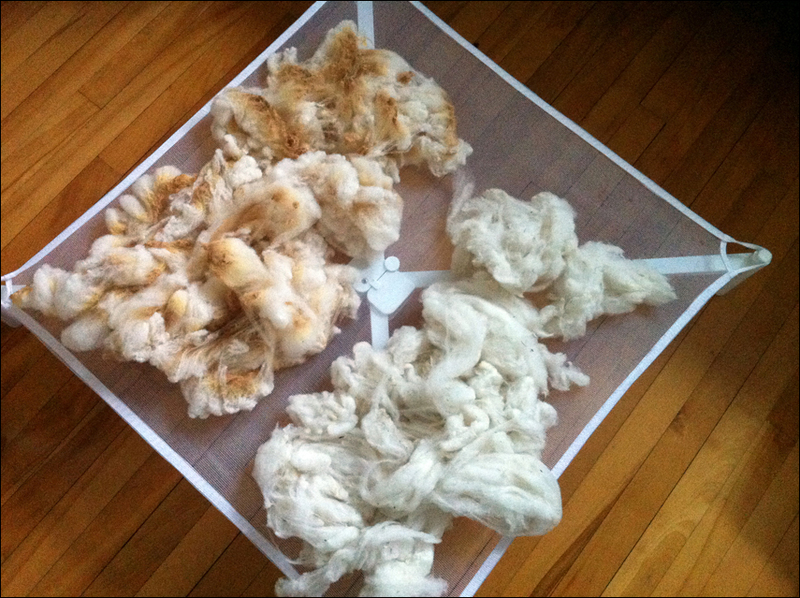 In the end, I kept the two best fleeces and disposed of the other two, which were heavily matted and very dirty. The ones I kept are of an unidentified longwool: Lincoln or something close to it, but I didn’t have the chance to ask the shepherd since the fleeces were a surprise present (thank you!). Anyway, I now have one white fleece and one black-brown fleece. 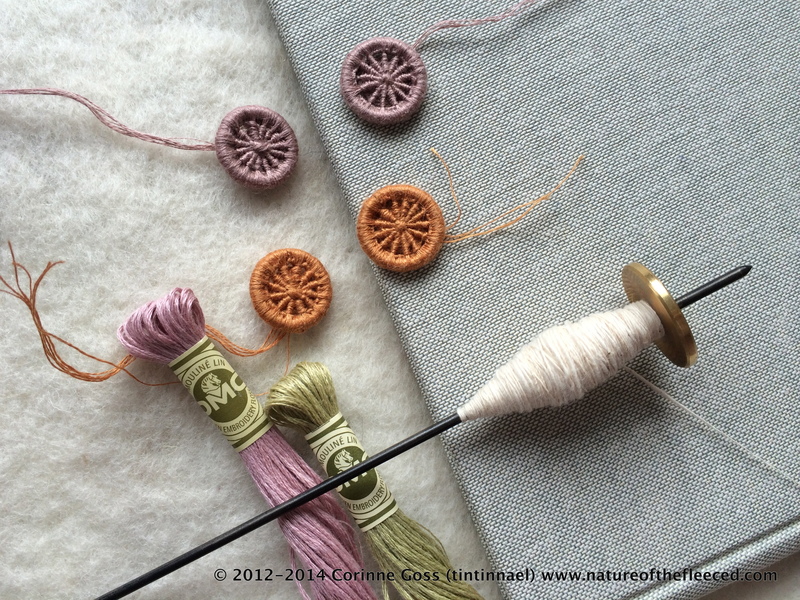 No plans for them yet, but maybe I’ll make a two-toned fleece rug this summer, à la Anne Field. Now, there is fringe to be twisted and hems to be stitched. Or I could act like an adult and start my taxes. Thoughts? 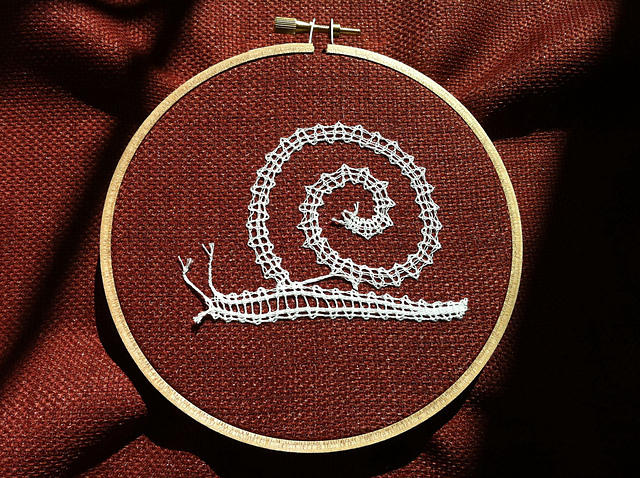 You may think I’m kidding, but the fiber arts can lead you down a perilous road. Mostly due to the interesting diversions along the wayside. See where this stuff gets you? My friend chopsticknitter has already posted a batch of pictures from the Twist festival in her blog, so I’ll be brief in my review: it was lots of fun, and it has indirectly provided me with more potential blogging content than I know what to do with. 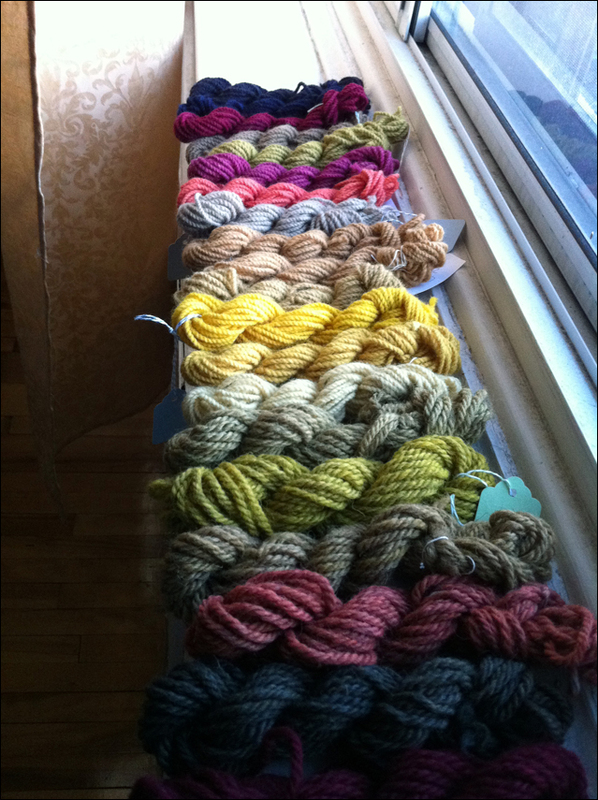 In terms of fiber, I stocked up on Shetland, Cheviot, alpaca, and even a bit of bison. (For the sake of my dignity, this indecent haul will not be pictured.) 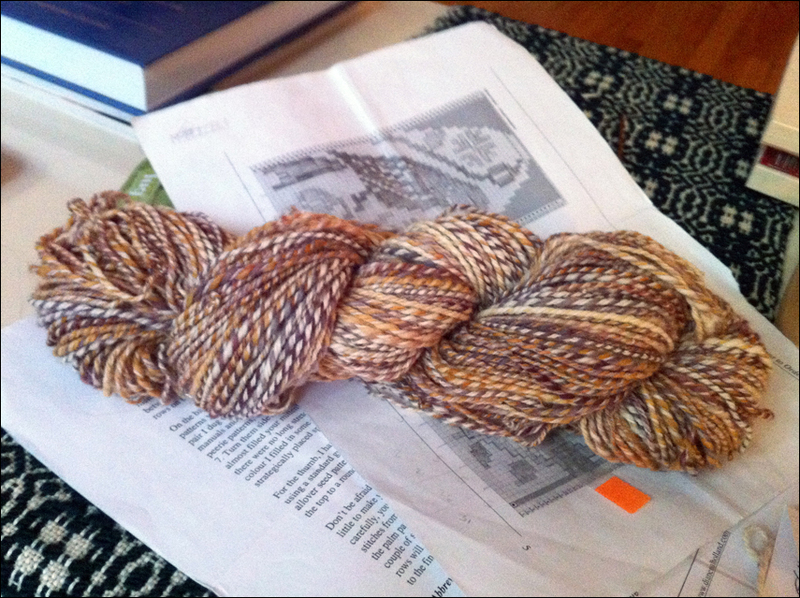 My favorite, though, is the tiny sample of qiviut that is now occupying my supported spindle. This is shockingly beautiful stuff. 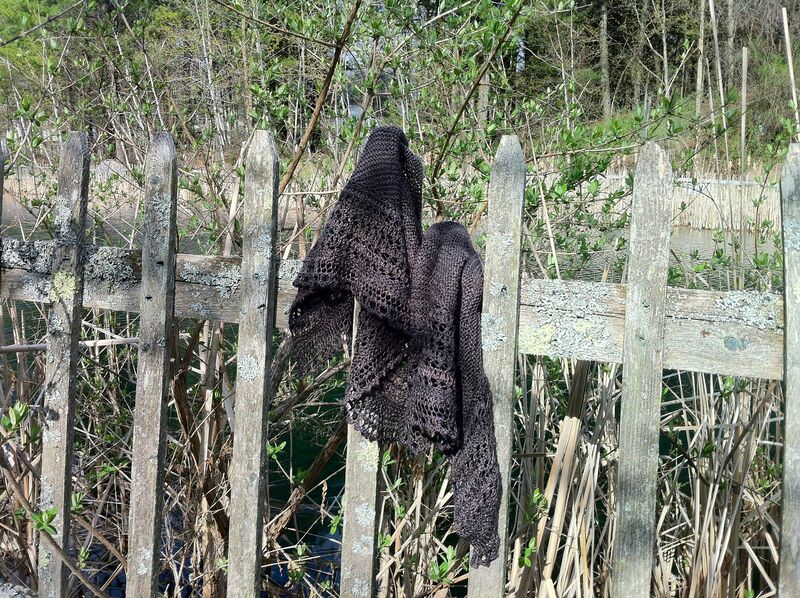 The skein in the background is the delicious Handmaiden Camelspin in Pewter, which is on its way to becoming a shawl for a real-life knit-along. Of course, I have to mention our trip to the loom room. After the greedier other members of my group appropriated the most exotic looms, I found my way to a Fanny just like my own, but pre-warped and conveniently unattended. 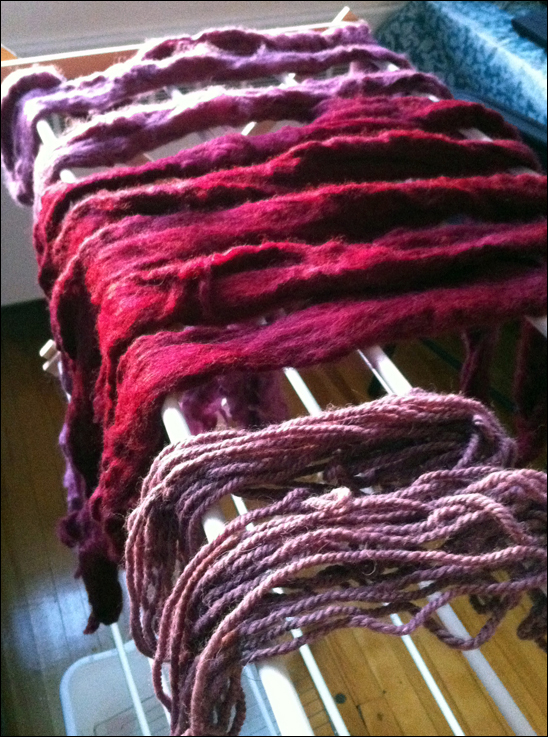 The results of my headfirst dive into the dyepot: lots of yarn and a mild headache. To date, I’ve experimented with lac, madder, cutch, logwood, pomegranate, turmeric, chamomile, and some rather unsightly black beans. Aside from the lac, these are all plant dyes. (Lac dye comes from a bug-produced resin, making it less icky than dyeing with cochineal, which involves grinding up bugs. I might not mind, but my significant other is concerned that we might find dried insects scattered around the kitchen. He’s probably right.) 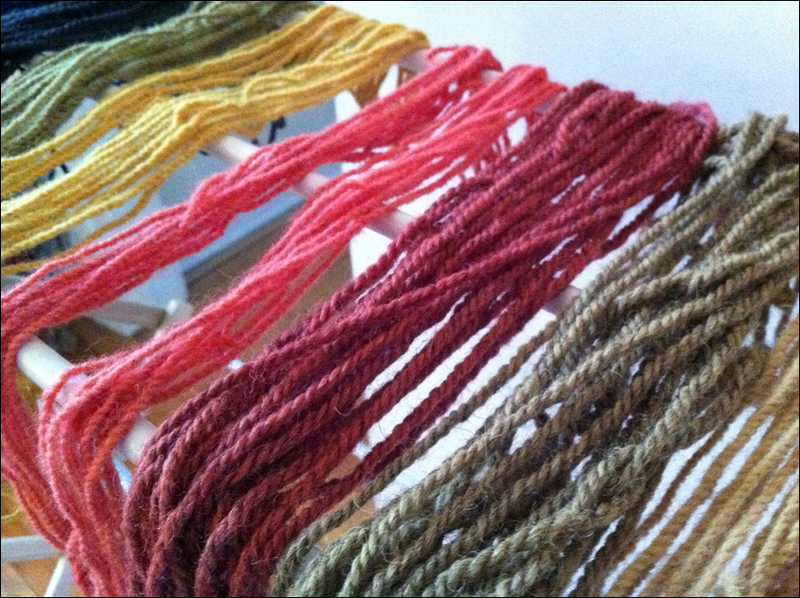 Anyway, I think the sample skeins will be perfect for weaving a color gamp or two. This is the scarf that never ends. 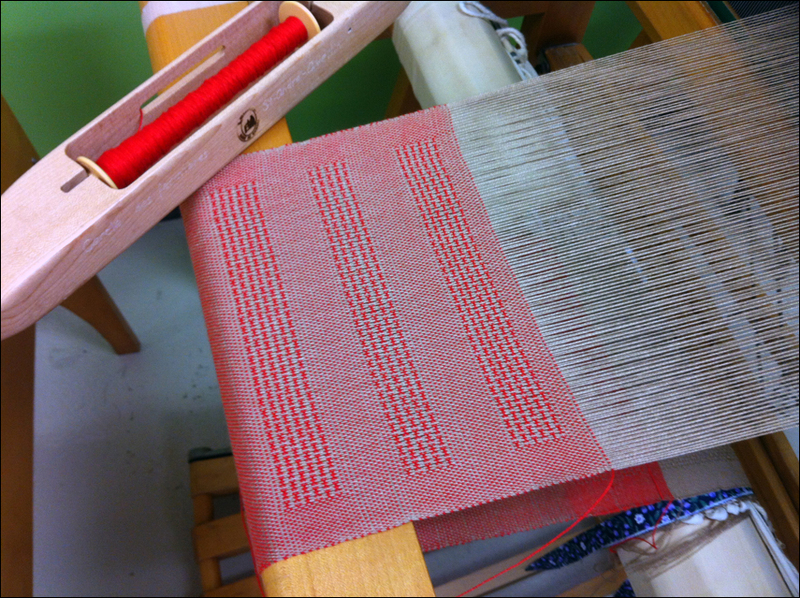 Please don’t ask how long it’s been on the loom. But on Saturday, my mother happened to come across this dainty creature gathering dust in the corner of a weaving shop in Vermont. As soon as I saw it, it was love. It’s a two-shaft counterbalance table loom, toy-sized but fully functional. I’ve seen similar looms on Etsy and eBay, but usually in worse condition for higher prices. (Worthy of note: this one was twenty bucks.) It came intact with a wooden reed and two functioning ratchet-and-pawl mechanisms on the front and back beams. 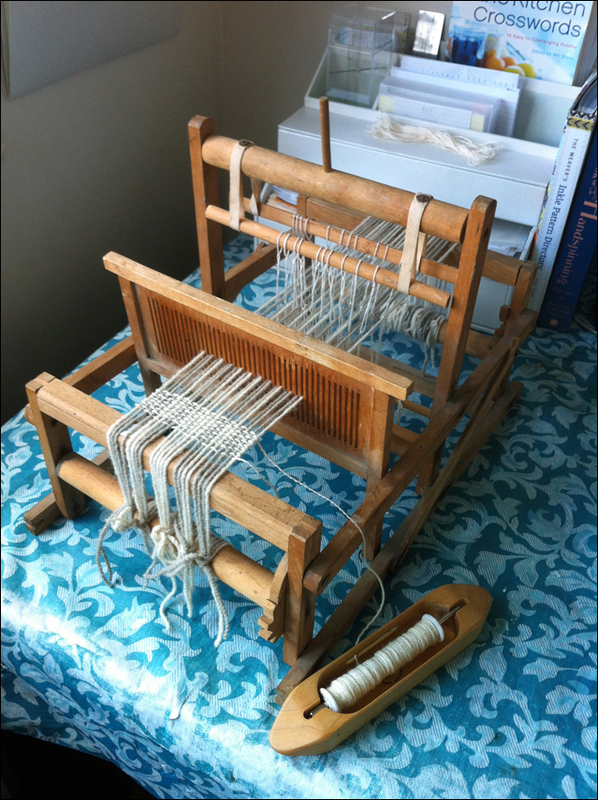 The only things missing: heddles and heddle bars, i.e., string and sticks. So I spend an hour tying string heddles and hacked some dowels to size. 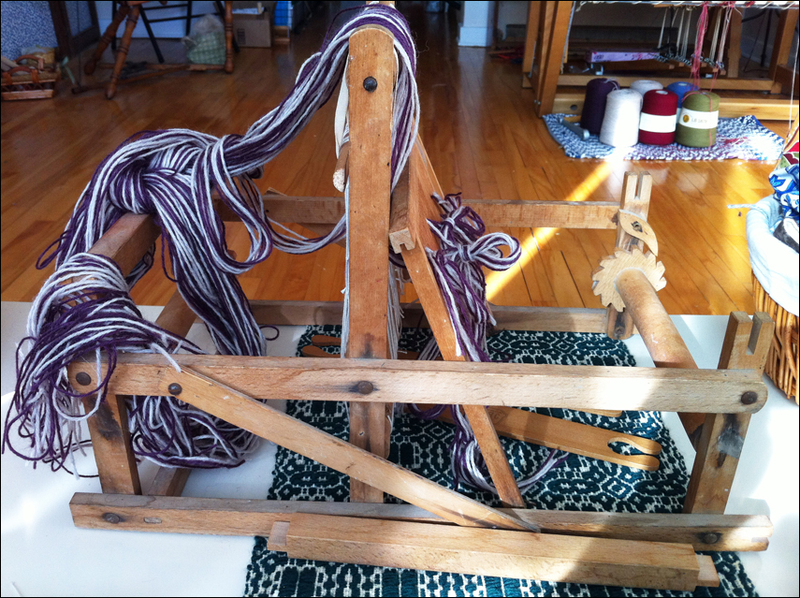 To stabilize my makeshift shafts, I tied the lower bars to one another, going underneath the roller at the center of the loom. I’m not sure if this is the originally intended configuration, but it seems to work just fine. And to change the shed, all you have to do is flip the lever on the top of the loom. So, my next project seems likely to be a natural-dye gamp on this little charmer. See how one thing leads to another? There’s no hope for any of us fiber folk. If you’ve made it this far into my rambling post, you may be interested to see my brand-new Twitter page, also linked from the sidebar to your right. I’m starting to get into the tweeting habit: if you’re there, let me know! *I know. It doesn’t rhyme. Alas, the blue mitten is no more. I picked it up again this week and came face to face with a dismal truth: the colors just weren’t going to fly. 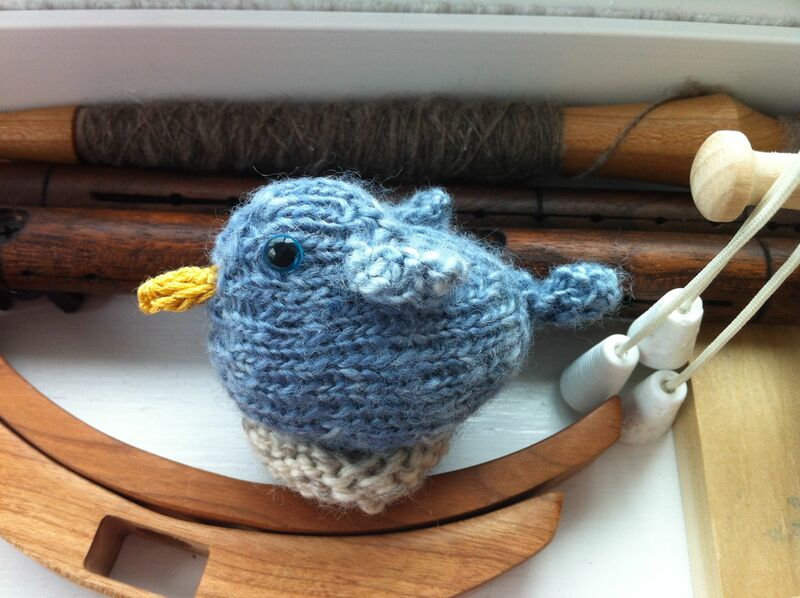 The colorwork bird was completely indistinguishable. I wouldn’t fly either if I were that muddy. Dismayed perusal of other blogs and various media led me to the conclusion that I should have used different colors in the first place. Other possible fixes– say, swapping the main yarn and the variegated yarn– wouldn’t solve the real problem: there just isn’t any contrast in hue or value between most of the colors (while the lime green contrasted rather too enthusiastically). 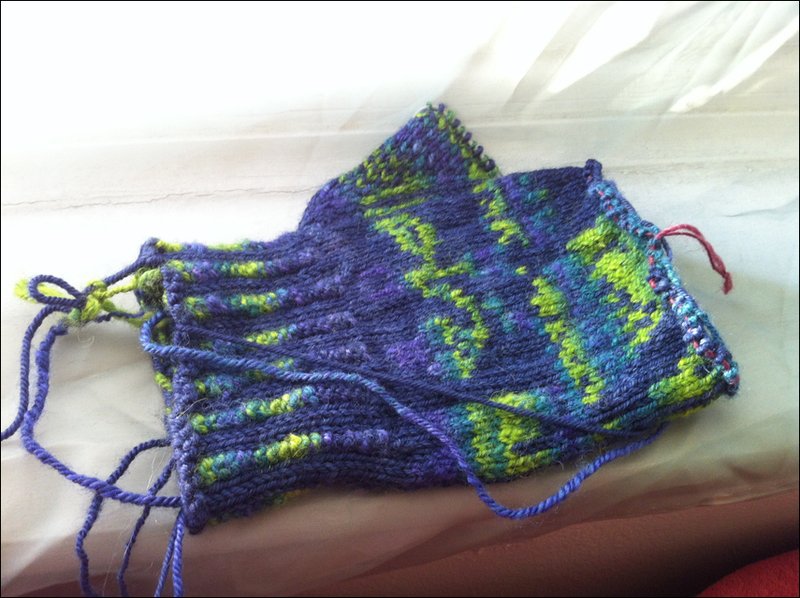 As of this writing, I’m nearly at the end of the thumb gusset, and am pleased to report encouraging results thus far. 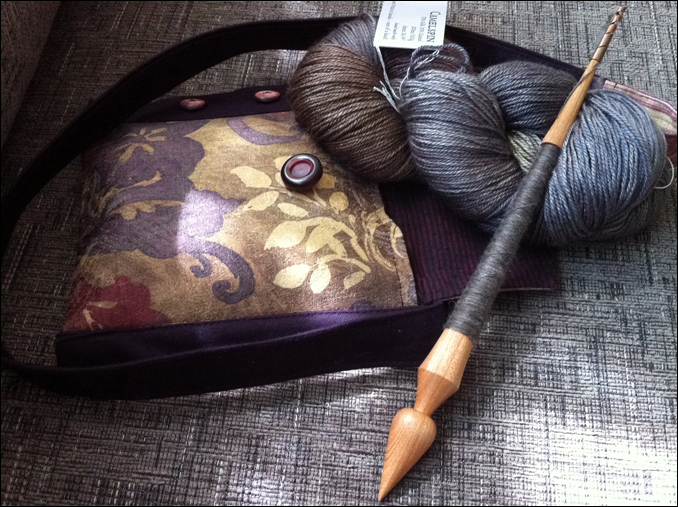 Despite my frustrations in the knitting realm, I seem to keep coming up with new reasons to knit. A few days ago I finished the last spinning project that was started during the Tour de Fleece, a hefty skein of 3-ply that’s really a knitting yarn. What would you do with a couple of hundred yards of strongly marled (say not barberpole! ), worsted-weight merino? Otherwise, spinning has slowed down to a more manageable pace. 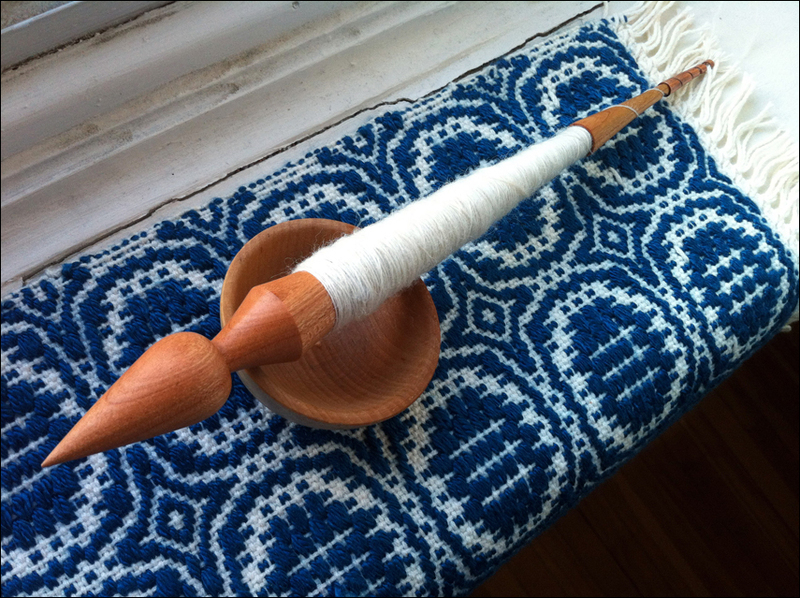 I rearranged the living room furniture last weekend so that I have a Weaving Corner and a Spinning Corner, but since my supported spindle came in the mail a couple of days ago, I’ve spent rather more time in the Couch Corner. Cherry spindle from Gripping Yarn. Cute and speedy! 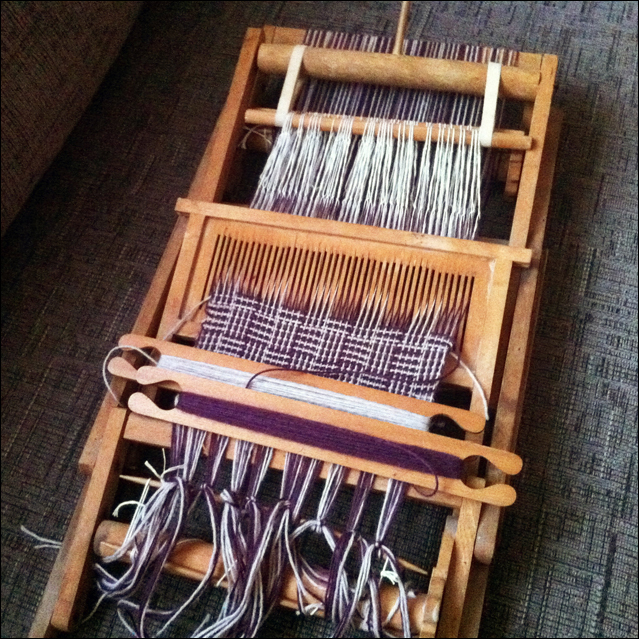 I have a chained warp sitting on the loom bench, just waiting to be beamed and threaded. I’ll tackle that as soon as I can, since this month may be the calm before the fluffy storm: I’m hoping to go to three of the fall fiber festivals this year, and to join the local weaving guild as soon as mysterious renovations to their location are completed, and embark on myriad small projects. If all goes well, some of them might actually get done.